We guarantee that you will absolutely love your hair - or it's free! 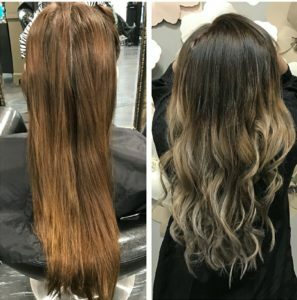 Our clients become friends with beautiful hair! Award-winning hair styling for your entire wedding party! In our salon or at your home or hotel – you choose! 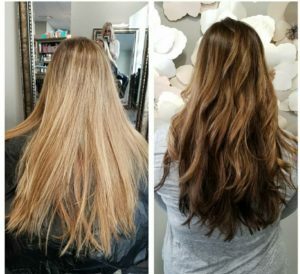 $15 off any service for first-time clients! Just mention this offer when you book your appointment. 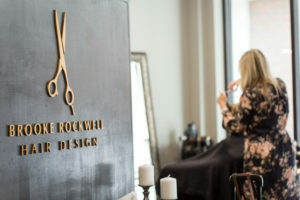 My name is Brooke Rockwell and I have been a stylist since 1986. 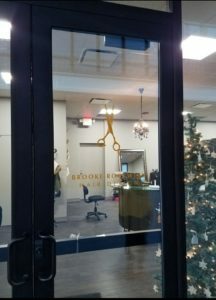 I love having the salon for so many reasons: I am passionate about doing beautiful hair and making people happy! It’s the only job I’ve ever had! I couldn’t imagine doing anything else! It has been wonderful developing relationships with clients / friends that have lasted many years. We have journeyed together through college, weddings, babies, and all of life’s changes! I have a fabulous team of stylists. They are amazing at what they do and they can’t wait to help you look stunning. We are always learning new techniques and finding new products to make beautiful hair happen! Bring us your tired, dry and unruly hair and we will give you beautiful, moisturized and bouncy hair. 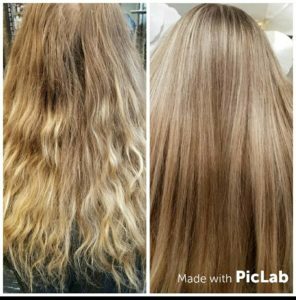 Corrective color is our specialty! 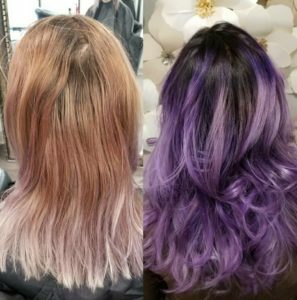 We love to transform “not so happy color” into fabulous, exciting, gorgeous hair. Here are some of our before and after makeovers. 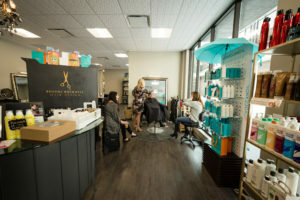 Our salon is committed to providing you with the best possible services and products. We specialize in Hair Color, Hair Cuts, Brazilian Blowouts, and Bridal Styling. 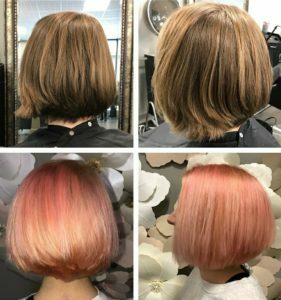 We use CHI Hair Color, Pulp Riot and Framesi Hair color. There are hundreds of color choices for all-over color, low-lights, highlights and balayage! We are happy to sit with you and decide which colors compliment you. Our classic styles have a trendy edge and are topped off with beautiful color! We hope that you enjoy our intimate, boutique style salon. We look forward to meeting you! A huge 5 stars to Brooke Rockwell! She gave me the best haircut today! 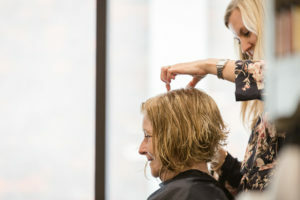 She has been doing my hair for over 20 years now and I can’t imagine what I’d do without her! 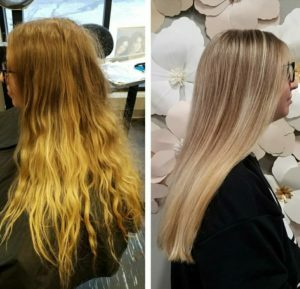 First-time clients save $15 off haircut and style! Just mention that you saw this offer on our website when you book your appointment.